Watch out cupcakes, macarons are on the way to becoming the newest cult dessert. 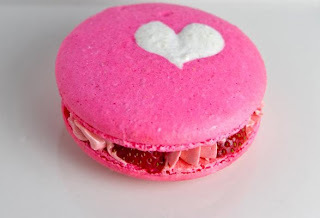 Already swooned over in the foodie blogosphere, macaroons have all the requisites to be the next treat trend. They are adorable, sweet, pastel, perfect for parties, and made in both crowd-pleasing and obscure flavors. The folks at Macaron Parlour have been doing some experimenting: candied bacon and maple cream cheese, black truffle, earl gray and thai chilli. The novelty flavors are fun and great conversation for dinner parties, but I’m happy to report that Macaron Parlour has nailed the classics. Their lemon macaron gives the Laduree cookie a run for its money. So when you can’t make it to Paris, buy Macaron Parlour tasties on etsy or at the Hester Street Fair on Saturdays and Sundays.